Smartphones, smartwatches and even smart appliances are all the norm these days… but what about a smart floor? Yep, as it turns out, that is indeed a thing. A German company by the name of Future Shape is marketing a technology called SensFloor that is able to detect and analyze data from floor traffic in real time. 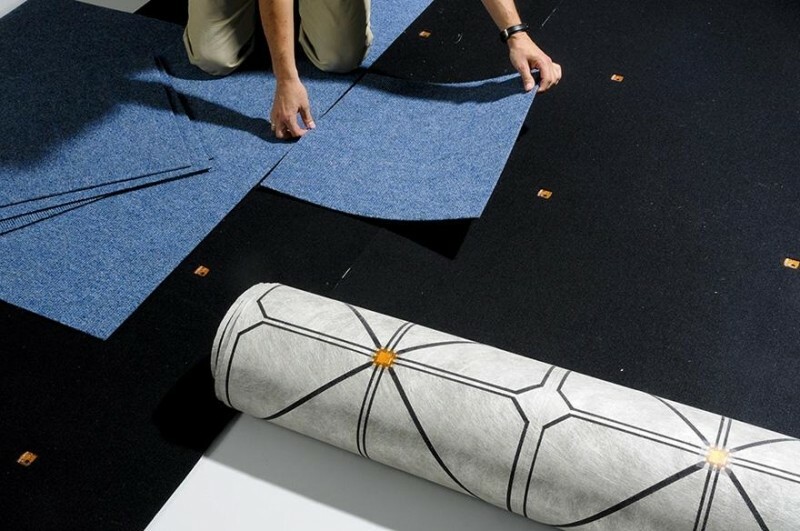 SensFloor is a super thin textile embedded with an array of sensors. Designed to be installed under your carpet, these sensors can pick up changes in the electrical field (like when a person is standing on it) and relay them to a control module via a series of radios. It’s all the more impressive when you realize all of this technology is tucked inside material that is only 2mm thick. Such technology might sound trivial at first but truth be told, there are a number of potential uses. For example, a SensFloor system was recently installed in a nursing home in Alsace, France, to help monitor the elderly. Whenever a resident falls to the ground, the system is able to alert the nurses’ station and send help immediately. The possibilities are limitless when you think about it. In the home automation space, the system could be used to determine when someone enters or leaves a room, turning the lights on or off accordingly. It could also be used an in invisible surveillance system that could alert you via smartphone if someone stepped foot in your house while you weren’t at home. Pricing is still likely a limiting factor for most at around $270 per 11 square feet but as the cost comes down, demand will likely skyrocket.